A 2012 article from ACE fitness online made some fairly accurate predictions about the future difference between small group training and one-on-one personal training. Six years later, those predictions are a direct reflection of how the training industry has changed into what we see today (Ross, 2012). In 2012, the author stated that one-on-one personal training would be where clients seek guidance on how to keep their bodies healthy without the use of the trainer long-term. In those private sessions, the client would primarily be seeking out guidance for healthy living and functional movement for their specific health needs and fitness goals. 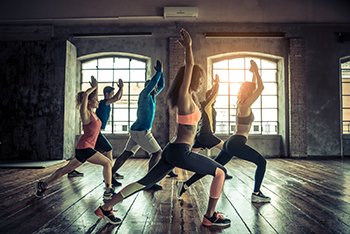 Conversely, small group training would be where clients go for a workout “experience” – the upbeat music, group camaraderie and faster paced workouts. Today, many personal trainers are offering more consultations, coaching and functional fitness workouts, while places like Orange Theory, classes like Soul Cycle and even outdoor “bootcamps” are more popular now than ever before. The rising popularity of small group training might have piqued your interest as a way to reach more clients and make more money. Maybe you’ve already led small groups but want to make them a regular part of your training business. Although some small groups are drop-in style workouts in the park and open gym sessions, small group training for this article refers to groups of the same clients over weeks or months. If you’re considering adding small group training to your services, the following strategies and techniques will help you reach your audience, design safe and effective workouts, and build a sustainable business model. Economic - Training clients in small groups gives you the opportunity to make more money. If you normally charge $65 for 60 minutes with 1 client, you can now charge $15-$20 per client for 45 minutes and train 3 or more clients together. Depending on how and where you train (more on that later), you might be able to save on the cost of equipment and space for your groups. If you’re training groups of family and friends, you are more likely to get referrals that will save you some marketing dollars as well. Time management - There are only enough hours in the day to train a set number of clients one-on-one. Maybe you’re the first one in and the last one out of the gym and you don’t know how to change that without losing clients. Small group training is a great solution for taking on more clients without burning out. Coaching - Group training will enhance your coaching skills. You’ll be walking around and observing your clients, offering cues and tips as needed, giving encouragement and making sure everyone is keeping up and staying focused. You’ll be doing this all while keeping time and order of the exercises! With small groups, there’s isn’t enough time to check the notes on your clipboard or smart device. Your role will be like a sports coach at team practice. Economic – The financial benefits go both ways. Individuals who cannot afford one-on-one training might find that group training fits in better with their budget. They might also stick with group training longer since they can afford it over a longer period of time, even if the packages are paid in full. Responsibility and autonomy – Group training affords the client a level of responsibility and autonomy for their workout. For example, they will get and re-rack their own weights, choose their equipment and they’ll take modifications as needed. You are the coach, but ultimately, the client has the final say in exactly how much they’ll push themselves and whether they’ll use all the available equipment in each session. Social support – Research has proven that working out with groups improves a client’s chances of reaching his or her goals. An NBC news article from 2017 stated that 95% of those who started a weight-loss program with friends completed the program, compared to the 76% completion rate for those who tackled the program alone (Steinhilber, 2017). The sense of belonging and group camaraderie of small group training is one of the biggest factors in client retention and success. Clients feel committed to each other and the program, and when someone is a no-show, they all notice. Recovery and active rest – One of the most important aspects of program design is balancing cardio and strength training exercises with periods of recovery and active rest. For example, doing jumping jacks followed by marching in place, since they’re still standing, and the march is a recovery for the jumping jacks. The order of the exercises is also very important to allow for adequate recovery, while still keeping the session flowing and giving each participant a chance to get the most of each exercise. Time versus reps – How do you want to keep track of reps and sets? The easiest way is with timed circuits versus counting reps or sets. Timing the circuit allows each participant to work at his or her own pace and do as much as possible in the time allotted without holding up the rest of the group. It’s much easier to time a circuit than it is to try and get everyone lifting at the same pace. You don’t want people standing around waiting unless you’ve called a break. This is especially helpful for partner exercises to keep both people working at the same pace and getting the most of each exercise. Equipment – Will you be using equipment, doing exercises with body weight or a mix of both? If you train in a commercial gym, you might be able to have equipment that’s just for your small group. Typical equipment includes medicine balls, stability balls, floor mats, resistance bands, free weights, battle ropes, agility ladders and sometimes cones to mark running lanes. Location - If you’re working in a gym, see what your options are for having a designated space for your small groups. This will make it easier to have all the necessary equipment within reach and have a safe barrier for your classes away from the main gym floor. The pace can be steady when you don’t have to wander all around the gym looking for equipment or trying to work in on machines with other gym members. Be mindful that some clients might not want to train in the middle of the gym floor, since some gyms have open space in the center of the gym. So, you will want to let potential clients know about this ahead of time, as this may dissuade them from participating. Having your group in a designated spot each week is also a great marketing tool so other gym goers can see what your group is all about, and they might be interested in signing up. If you don’t have a gym or indoor space, you can host group sessions outdoors in parks with little to no equipment (weather permitting). Work with what you have and don’t be afraid to have the clients use their own body weight for an entire workout. Is your group for beginners? Is your group co-ed or for women or men only? Are you offering general training for all fitness levels or specialized training for sports, marathoners, wedding preparation, etc.? You might decide to work with a specific clientele for one-on-one training, only women, for example, but offer co-ed small groups. Your answers will help you clearly communicate the value of your training and set program expectations from the beginning. Clearly communicating value and program structure are the best ways to close a sale and deliver results. With a major shift in the fitness industry toward more high intensity, short, group workouts and classes like Spinning, Zumba and Crossfit, some argue that small group training will one day replace one-on-one personal training. If you’ve been thinking about offering small group training, now is a good time to start! Ross, J. (2012). Small group training: The future of the workout experience and the missing link to your personal training career’s success. Retrieved from https://www.acefitness.org/education-and-resources/professional/expert-articles/2395/small-group-training-the-future-of-the-workout-experience-and-the-missing-link-to-your-personal. 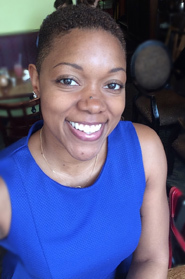 Trinity Perkins is an AFAA Certified Personal Fitness Trainer, ISSA Performance Nutrition Specialist and ISSA Specialist of Exercise Therapy. After working in a corporate gym part time for 1 year (while holding a full time job by day), Trinity began her own personal training and performance nutrition coaching business at a private studio in northern Virginia in 2012. The full-time owner of Fitness All Ways, LLC, formerly Train with Trin, LLC, her life’s mission is to motivate and inspire people to, “Live every day to the fittest.” Trinity incorporates principles of performance nutrition with strength training and aerobic exercises to create a training experience for each of her clients. Her client lists includes all levels of fitness from competitive athletes to people just beginning their fitness journey. Trinity holds a Bachelor of Arts in Communications from Old Dominion University and a Master of Science in Health Education from Kaplan University.